If you find yourself this morning in a part of the world where it’s truly cold, we feel for you. If you get outside and ski today, say in the Midwest (we’re thinking of you Duluth), the snow might be sandpaper slow, but the upside, there will be no snow melt. The trail conditions will hold until the next banana belt puff of air blows through. 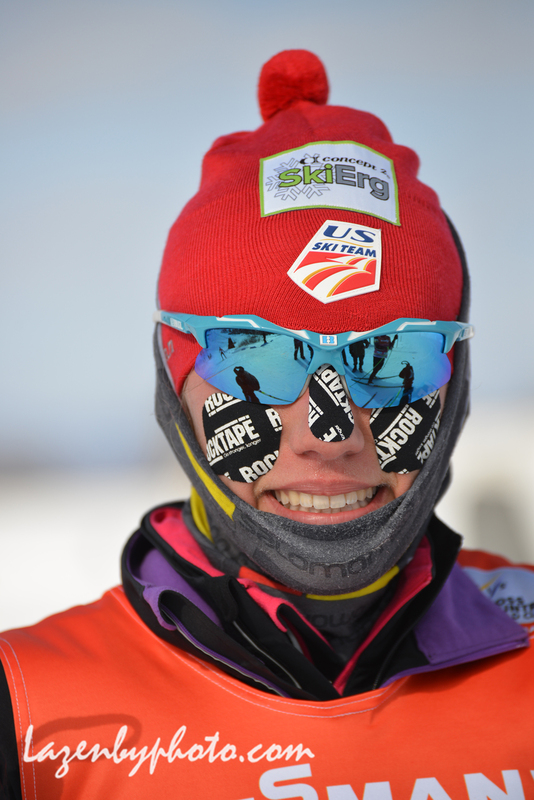 Here at FasterSkier, we scanned the archives to bring you some cold-related resources. This may not be the type of Wednesday Workout you expected. 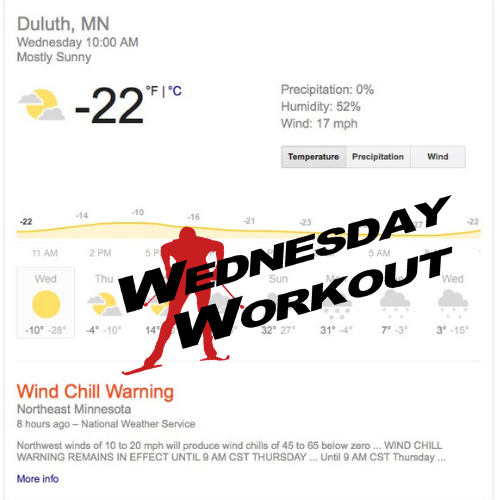 If it’s not: be careful in the sub-arctic cold, but by all means, head out and kill the 30 x 30’s or the pre-Birkie 4 x 4 threshold efforts. By the way, not so fast Houghton. By comparison, maybe it’s time for beach towels in the UP. 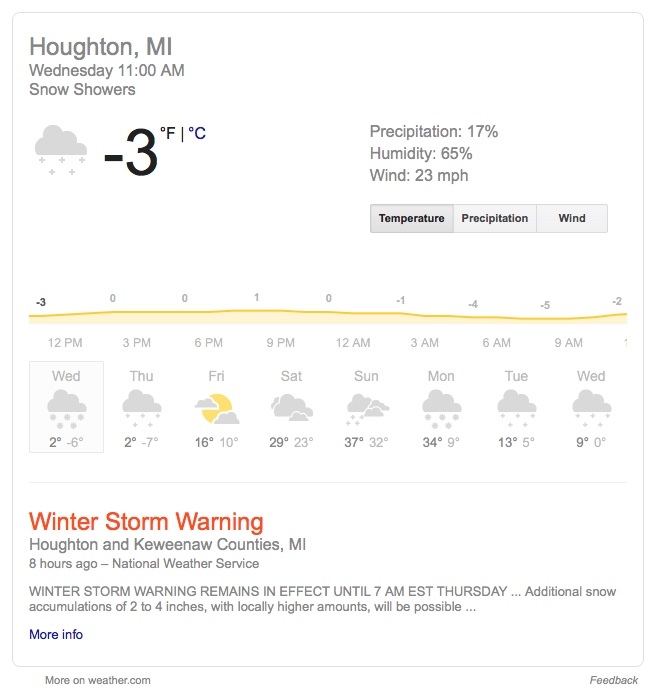 Duluth’s cold is real-deal-cold at -22 Fahrenheit at the time we pressed “publish”. First on the resource list is this brief piece on cold-related injuries. This comes complete with grim photos to deter those from heading out with improper protection. Avoid the Polar Vortex: Cold Injuries. The saying goes: “Hydrate or die.” So true. But remaining hydrated in cold air can be a puzzle for some. Staying Hydrated in the Oh So Cold. For those of you keen on reading up on respiratory issues and the cold, here’s an interview written by Chelsea Little. The article below features Michael Kennedy, PhD Associate Professor of Kinesiology, Sport, and Recreation at the University of Alberta. Female Skiers Accumulate Airway Injury and Cough During Race Season. Respiratory Function and Symptoms Post Cold Air Exercise in Female High and Low Ventilation Sport Athletes. If you’re looking to log a rest day, and have already written the following into the notes section of your log, “Too Cold to Exercise”, the New York Times (NYT) published a piece back in 2008 that still resonates. And the title of the article may have you rummaging for those hand and toe warmers, face tape, and respiratory heat exchanger. Too Cold to Exercise? Try Another Excuse. Don’t leave the NYT so fast. Knowing much of the country would be blanketed in frigid air today, they published a short resource for combating cabin fever. Yes, we agree, it is downright cold out there. We’d say under a certain temperature, cold is simply cold, no matter what the thermometer reads. Editors at Scientific American ran a piece yesterday titled, “The Coldest Place on Earth”. They may disagree with the assertion that under a certain benchmark (its personal for each skier) cold is cold. Stay warm out there. Cold-related injuries are no joke.